A UFO, a meteor shower or a government cover-up. Twitter lit up on Saturday night after a what looked like a meteor that exploded into a spotlight before fading into the fog. The mysterious lights that appeared around sunset prompted lookiloos from as far away as Nevada and Arizona to take out their cellphones, shoot videos and pictures, call 911 and flood news media with questions. 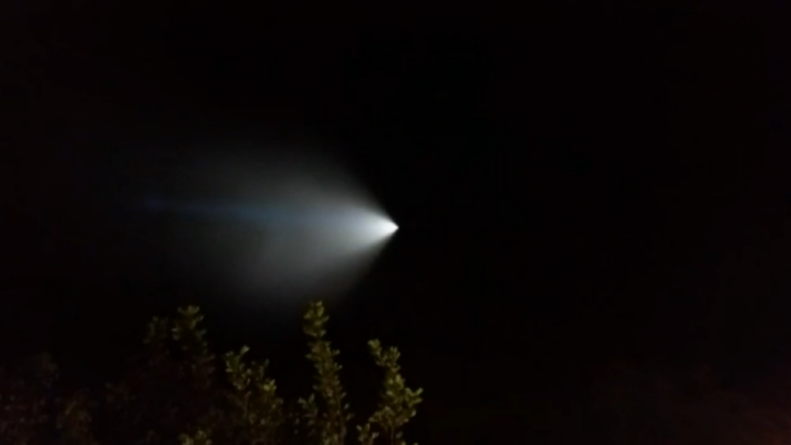 The bright light that streaked across the state turned out to be an unarmed missile fired by the Navy from a submarine off the coast of Southern California.